With his noble bearing, stiff upper lip and imperial moustache, the composer Edward Elgar is often seen as the epitome of Edwardian England. But this image was deliberately contrived, and far from reality. Based on the enigmatic clues he left in his music and in his private correspondence, John Bridcut’s film looks behind the famous moustache to disclose the apparently self-confident Elgar as a brilliant but neurotic musician, with a chip on his shoulder about his lowly origins and his Catholic religion, who despised the Establishment, yet longed to belong to it. 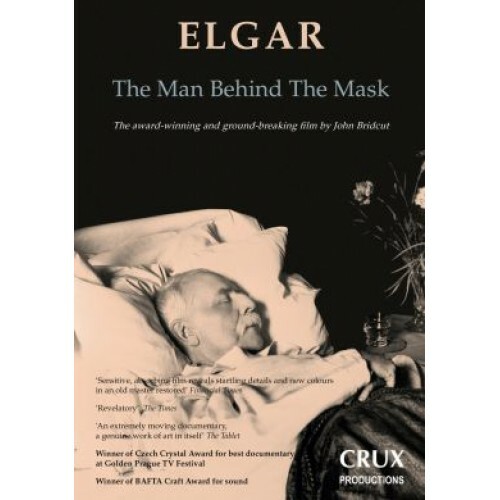 Elgar's intense relationships with several women apart from his wife belong to his restless, obsessive nature, and fresh evidence of the nature of these relationships is revealed in the film. This film breaks new ground, with the documents it uncovers, and also with the music that was specially shot for this documentary. As well as the familiar pomp-and-circumstance marches, some much less familiar pieces were chosen, to illustrate the neuroses of the composer. The dark, suicidal music of Judas in The Apostles (rarely-heard and never filmed before, yet this is Elgar at his most operatic), the turmoil of The Music Makers, and the bleak, almost atonal character of some of his unaccompanied partsongs which made the conductor Sir Mark Elder wonder if he was the victim of a practical joke. This revelatory portrait of a musical genius explores the secret conflicts in Elgar's heart which produced some of Britain's greatest music.